My journey to Formula actually began with beer. 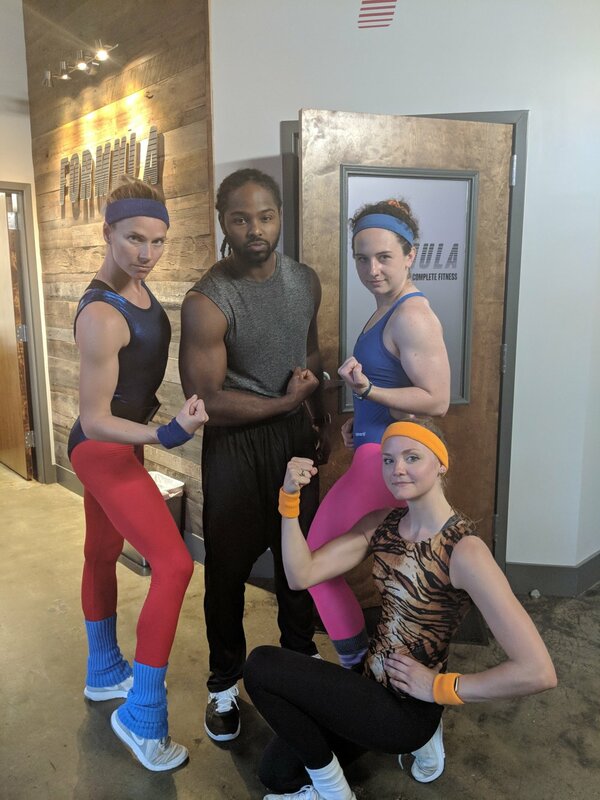 I began going to the Brewery Bootcamp at Random Row as a way to transition out of the post-college fitness slump and back into a healthy lifestyle. I bartended with Jason at the brewery and was immediately intrigued when I heard him discussing plans for the studio, so the Bootcamp was a great way to test the waters! After sweating a lot (and cursing under my breath a bit), I discovered that I loved the combination of running and calisthenics. On top of that, I loved that Jason and Ann coached us as we were running, something I hadn’t experienced in years. Being active has always been a part of my life since I was little, but running was never my sole focus. I always viewed it as a means to progress as an athlete and a building block to becoming a better soccer player, later using it as cross-training during my swim seasons in college. I was speedy but lacked good form because running was always secondary to whatever sport season I was in. All of that changed when I started coming to classes at Formula. The classes challenged my running capabilities and for the first time ever I felt like I was running efficiently. I felt pushed beyond what I thought I was capable of in every single class by either the instructors or the other members (I’m quite competitive). On top of that, I was noticing muscles I hadn’t had before and they weren’t just from picking up heavy things (dumbbells, pints of beer, etc.) and setting them down again. I learned that each exercise and each movement had a reason behind it and my speeds improved as I went to more classes. I moved out of the post-college fitness slump and can now say I’m probably in the best shape of my life. Things get serious on 80s night. My turning point this year was the Charlottesville 10-Miler. In my head I heard Ann telling me to relax my shoulders and Jason telling me to not over stride. During the North Downtown portion, I grudgingly thanked Adam for doing hill repeats and blessed Emily for utilizing exercises that strengthened my legs. Through taking the classes, I was able to drop my pace by almost a minute per mile. And not only did I PR, but I felt GREAT throughout the run. The best thing about Formula, however, is that I feel like I’ve never gotten lost in the background. There’s never a question of if the instructors care about my fitness or about me as a person (hint: they care a lot). Having that support to be physically healthy and strong in combination with an interest in my life outside of the studio creates a positive atmosphere that encourages every person to give their best effort.